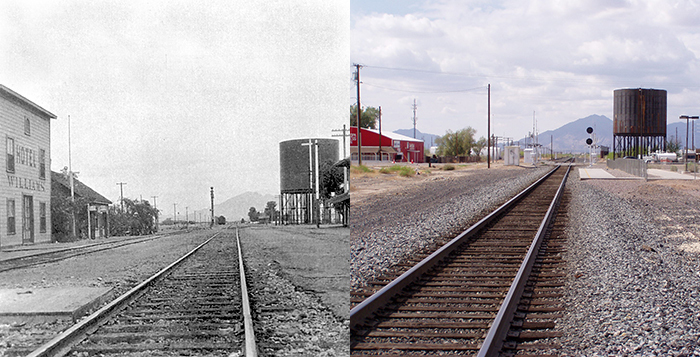 The changing skyline of Maricopa is evident in historic and modern photos of the same stretch of railroad tracks. In 1911, the depot was much closer to the water tower than today’s Amtrak station. Also note the hotel immediately south of the tracks. This is a section of the city’s skyline that will look very different in the near future with the planned overpass. This appears in the October issue of InMaricopa.